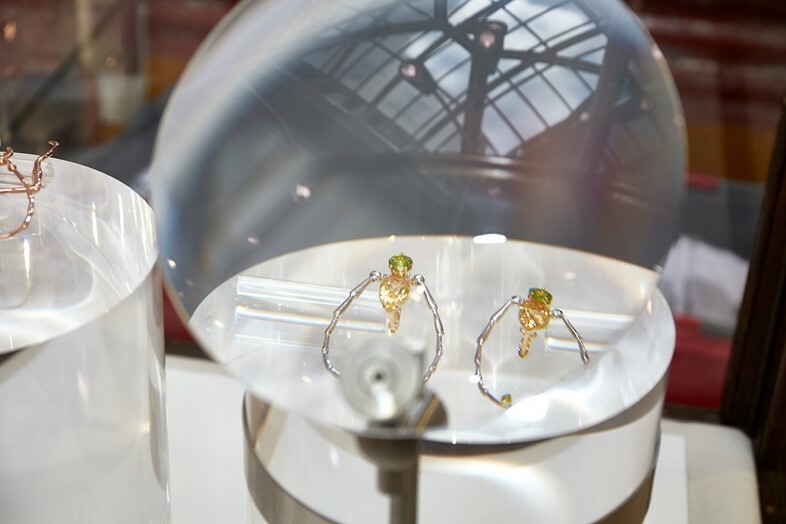 The jewellery that Delettrez will be presenting today takes this polarising manifesto to entirely new levels, for although we have seen beetles, bees and various bugs sculpted into fine jewellery to adorn fingers and wrists, we have never before seen real insects set into her designs. Until now, that is. 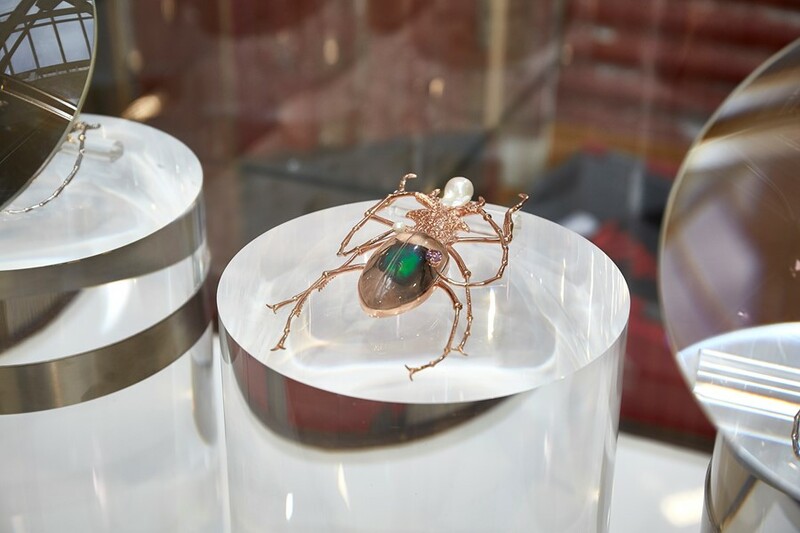 The new collection consists of a series of brooches made from dead beetles encased in resin, as well as a pair of earrings and a necklace inspired by the dissection of tiny exoskeletons. 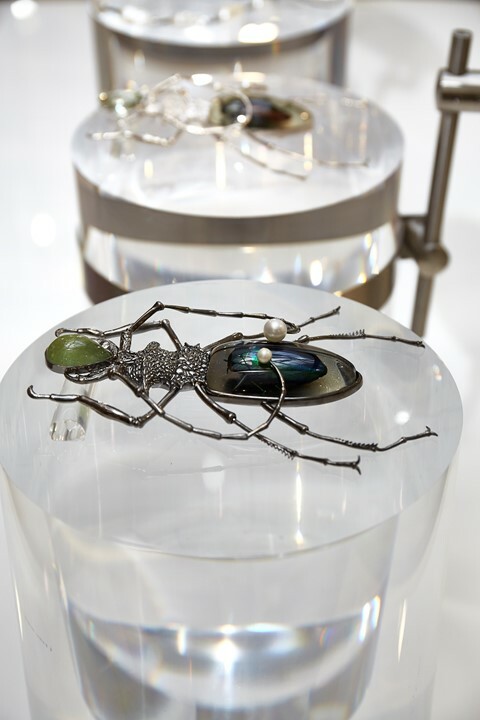 Made from silver, green tourmaline, amethyst and fresh water pearls (used to invoke a mildly nauseating image of arthropod eggs), each jewel will be presented in a bespoke entomological glass display box and is entirely unique. This obsession with creepy crawlies stems from Delettrez’s childhood spent in Brazil: “It’s something that I carry from when I was young, a disgust and fascination. I guess that when I was a child all these insects seemed really enlarged because I was so small,” she explains. I picture the tiny Delfina making acquaintance with gargantuan Brazilian spiders. Never able to quell her fascination, Delettrez is also an avid collector of weird and wonderful insect-based objects that adorn her Paris apartment and become the basis for elements of her design. “I guess the strangest thing I ever saw was when I was in Cuba in Havana. I saw this divine object that was a sort of mix between a sea creature and a big spider in gold. The body was made by a big shell, and then underneath on the belly slightly hidden there were these three big real teeth.” It sounds an awful lot like a piece of Lalique, abstracted through the lens of a bad dream. 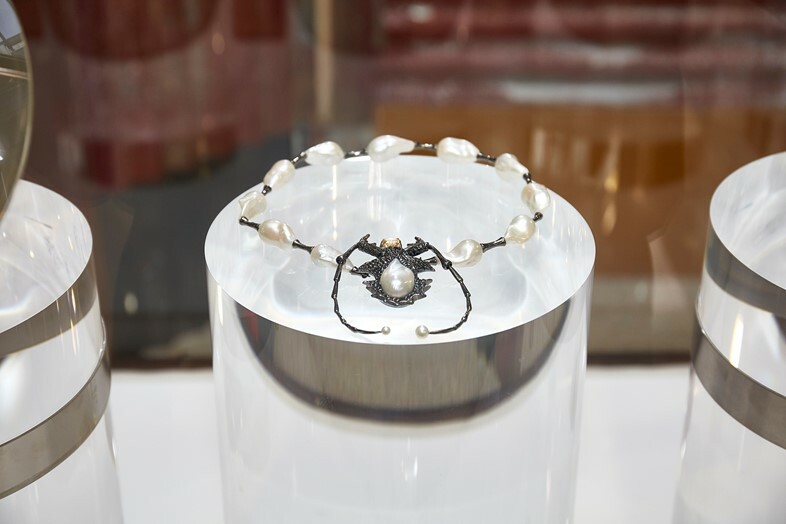 Delettrez also cites Japanese culture as hugely influential, in particular the reverence for the insect world, noting that she got a real surprise during a trip to Tokyo one year while popping to a vending machine to buy a can of Coke. “Right next to this vending machine selling drinks and snacks was one where you could actually buy insects! There were a huge selection of beetles. It was really insane,” she laughs. Before we end our afternoon discussion – there is much work still to be done before she flies to London the next morning – she leaves me with a film recommendation: “You absolutely must watch the documentary Beetle Queen Conquers Tokyo – it shows you the way that Japanese people even keep insects as pets! It was part of the inspiration behind this new collection.” Although I won’t be adopting a beetle to walk round the park any time soon, a brooch made by Delfina Delettrez would certainly be an excellent halfway house.